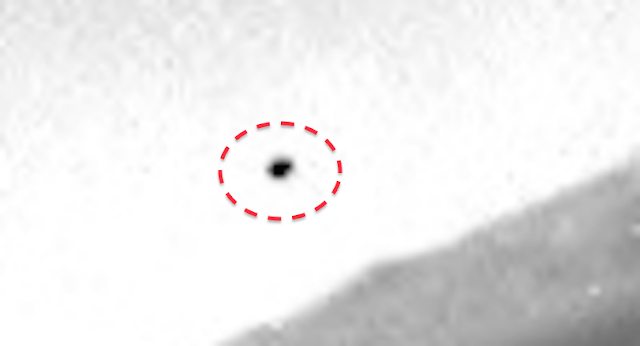 UFO SIGHTINGS DAILY: Alien Creatures Fly In Sky Of Mars Near Rover On Nov 2015, Photos, UFO Sighting News. 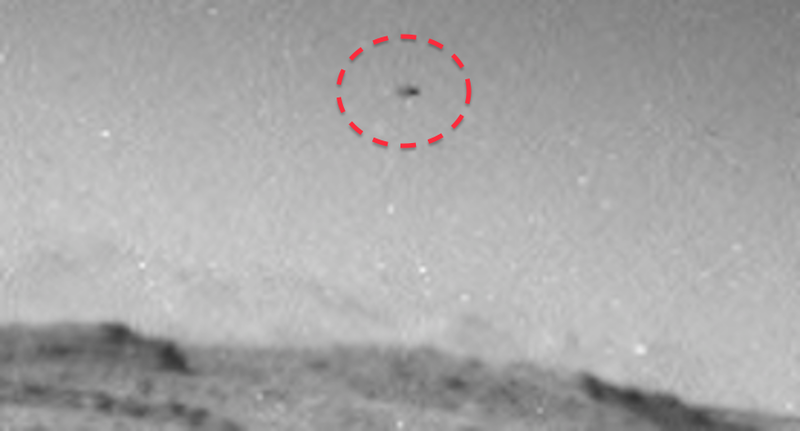 Alien Creatures Fly In Sky Of Mars Near Rover On Nov 2015, Photos, UFO Sighting News. 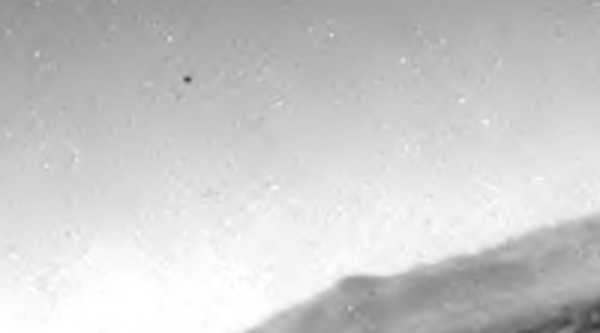 I was looking at the newest Mars Curiosity Rover photos on their blog and noticed that there were some black objects in the sky. 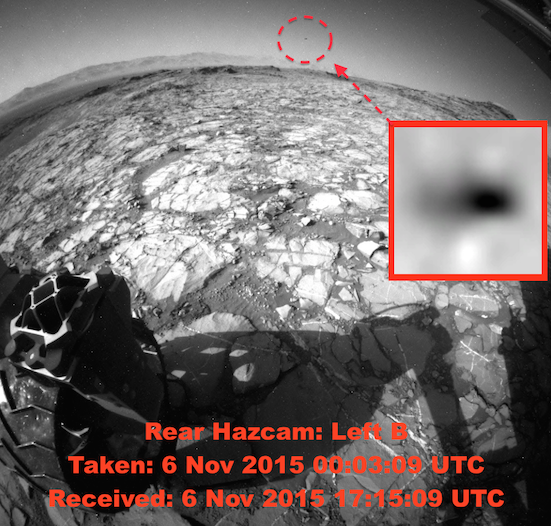 Now the Curiosity has two rear cameras and both caught the objects, but in different positions. Then a bit earlier it happened again. 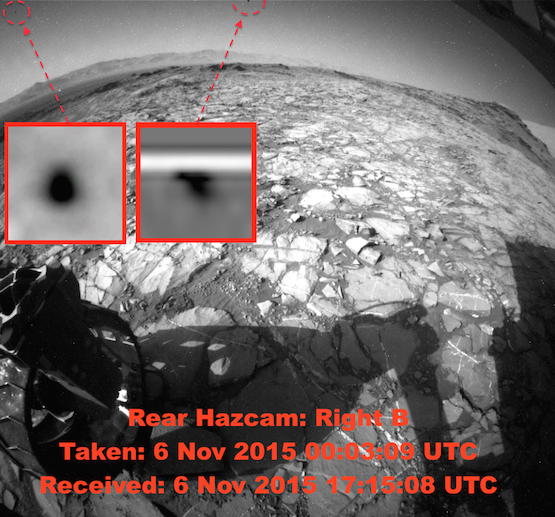 This is clear evidence that something is flying in the sky of Mars. The sky is blue and their are white clouds in the Mars sky as I have shown you in color photos a few weeks ago. 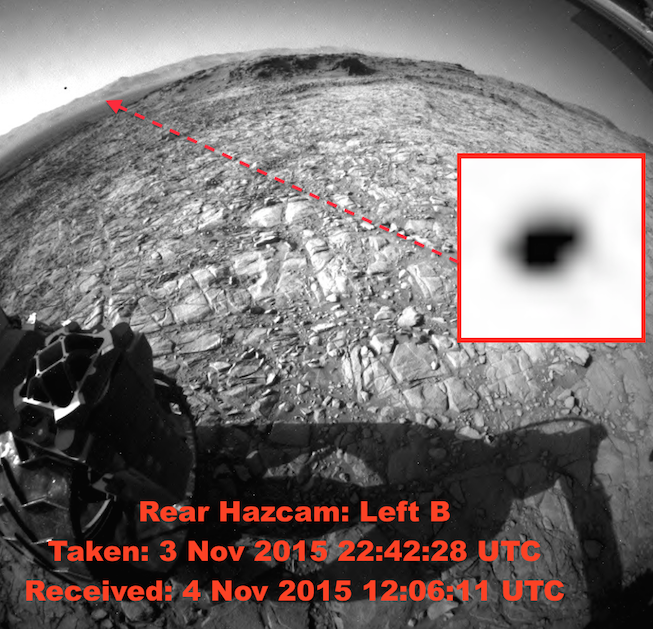 These objects in the air...I think they are living creatures that NASA doesn't want to tell the public about. One announcement at a time right? Keep the public amazed at NASA that way and leak out the truth slowly. 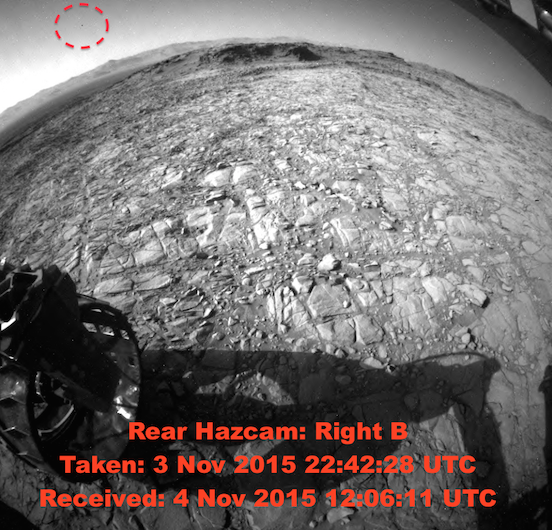 To prove its not dirt on the lens, I will post these two links below of the same rear cameras just a few hours earlier.